Contender or Pretender? 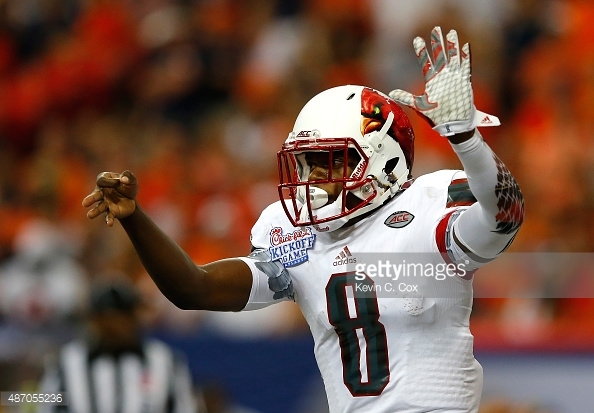 : Did Lamar Jackson Become a Heisman Candidate? What a night for Lamar Jackson. 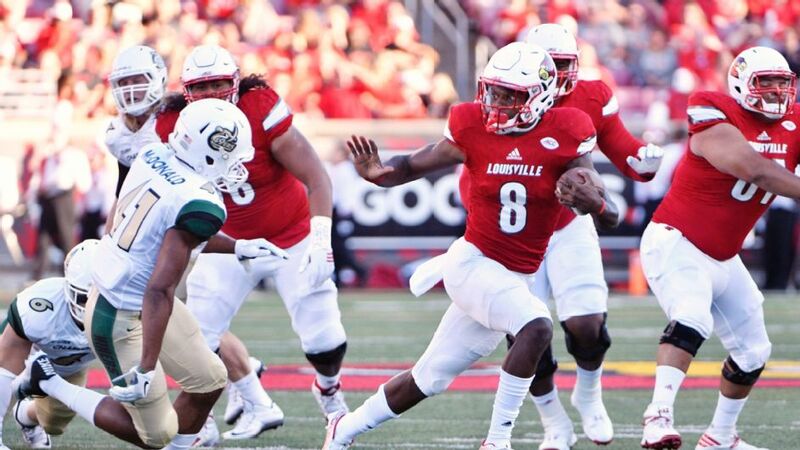 8 touchdowns, 286 passing yards, 119 rushing yards, and a 70-14 victory for Louisville over UNC-Charlotte. Oh, and that was after playing just the first half of the game. Now, before you go and hand Lamar Jackson the Heisman, let’s take a deeper look at his performance. First, who exactly is Lamar Jackson? Good question, and I will not hold it against you if you aren’t a Lamar Jackson expert by this point. A sophomore from Boynton Beach, Florida, Jackson was ranked as a 3-star dual-threat quarterback by both 247 Sports and ESPN, and wasn’t considered a top 10 dual-threat QB in the 2015 class. Jackson committed to Louisville before his senior year, and saw action in 12 games as a freshman, starting 7 and finishing with 1840 passing yards, 12 passing touchdowns against 8 interceptions, while rushing for 960 yards and 11 touchdowns. Not too shabby for a freshman, but not exactly earth-shattering either. In just one game this season, Jackson already accounted for a third of his touchdowns from the previous year. But why doesn’t that make him a serious Heisman Contender? Well, the simple answer is that the Heisman field is just so crowded this year with Baker Mayfield, Dalvin Cook, Leonard Fournette, and DeShaun Watson leading the charge. Jackson’s numbers, while impressive, were undoubtedly aided by a weak opponent. No one will mistake UNC-Charlotte’s defense for Alabama’s. On the other hand, facing UNC-Charlotte is tougher than facing Northwestern State (cough,cough Baylor). Still, can we expect Jackson’s numbers to be repeated for the whole season. At his current pace, Jackson will throw for over 3,400 yards, 72 touchdowns, and rush for 1,428 yards and 24 touchdowns in the regular season. Simply, video game (R.I.P. NCAA Football 14) numbers. There is just no way that Jackson can produce those numbers against any teams, nonetheless against ACC defenses like Clemson or Florida State. Lamar Jackson’s athleticism is off the charts, there is no questioning that. But athleticism alone does not win Heismans. Realistically, Jackson is not even a top-5 candidate at his position. However, despite not being in the Heisman race this season, if he stays for all four years, I do believe that Jackson will be considered a Heisman candidate as he continues to mature as a QB. He has the potential to put up Teddy Bridgewater-esque numbers in a similar system, but Jackson is a dangerous threat when he decides to tuck the ball and run. Louisville, lead by Jackson, is my sleeper pick to win the ACC Coastal. Jamari Staples provides a huge target for Jackson, and has big play ability after leading the team in yards per reception last year.